There’s a bunch of stuff going on at the moment in the SQL world, so if you’ve missed this particular piece of news, let me tell you a bit about it. 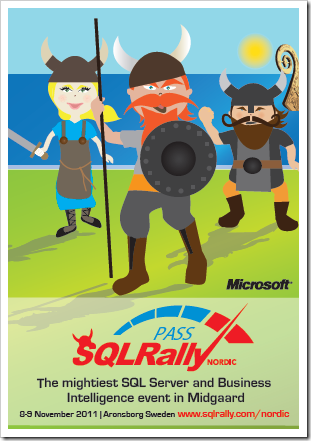 Twice a year, the SQL community puts on its biggest virtual event – 24 Hours of PASS. And the next one is tomorrow – March 21st, 2012. Twenty-four sessions, back-to-back, featuring a selection of some of the best presenters in the SQL world, speakers from all over the world, coming together in an online collaboration that so far has well over thirty thousand registrations across the presentations. Some people are signed up for all 24 sessions, some only one. Traditionally, LiveMeeting has been used as the platform for this event, but this year we’re going with a new platform – IBTalk. It promises big, and we’re hoping it won’t let us down. LiveMeeting has been great, and we thank Microsoft for providing it as a platform for the past few years. However, as the event has grown, we’ve found that a new idea is necessary. Last year a search was done for a new platform, and IBTalk ticked the right boxes. The feedback from the presenters and moderators so far has been overwhelmingly positive, and we’re hoping that this is going to really enhance the user experience. One of my favourite features of the platform is the language side. It provides a pretty good translation service. Users who join a session will see a flag on the left of the screen. If they click it, they can change the language to one of 15 on offer. Picking this changes all the labels on everything. It even translates the text in the Q&A window. What this means is that someone from Brazil can ask their question in Portuguese, and the presenter will see it in English. Then if the answer is typed in English, the questioner will be able to see the answer, also in Portuguese. Or they can switch to English to see it as the answerer typed it. I know there’s always the risk of bad translations going on, but I’ve heard good things about this translation service. But there’s more – IBTalk are providing staff to type up closed captioning live during the event. So if English isn’t your first language, don’t worry! 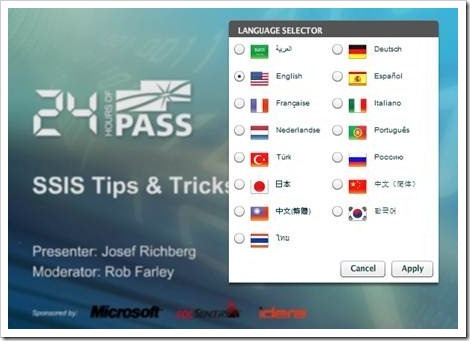 Picking your language will also let you see subtitles in your chosen language. I’m hoping that this event is the start of PASS being able to reach people from all corners of the world. Wouldn’t it be great to find that this event is successful, and that the next 24HOP (later in the year, our Summit Preview event) has just as many non-English speakers tuning in as English speakers? If you haven’t been planning which sessions you’re going to attend, you really should get over to sqlpass.org/24hours and have a look through what’s on offer. 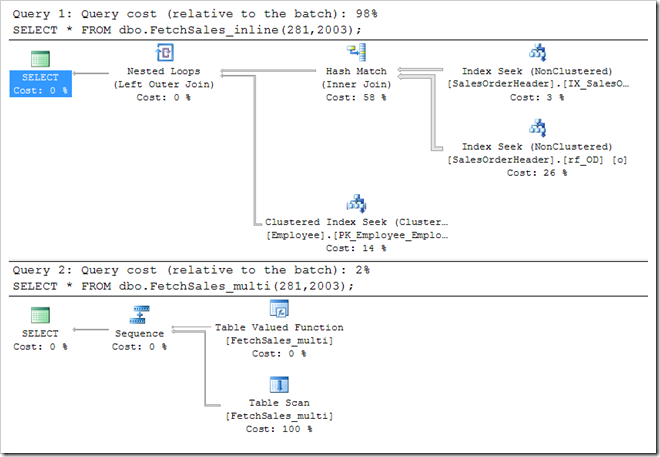 There’s some amazing material from some of the industry’s brightest, covering a wide range of topics, from classic SQL areas to the brand new SQL 2012 features. There really should be something for every SQL professional. Check the time zones though – if you’re in the US you might be on Summer time, and an hour closer to GMT than normal. Massive thanks must go to Microsoft, SQL Sentry and Idera for sponsoring this event. Without sponsors we wouldn’t be able to put any of this on. These companies are helping 24HOP continue to grow into an event for the whole world. When I’m sick enough to go to the doctor, I see a GP. I used to typically see the same guy, but he’s moved on now. However, when he has been able to roughly identify the area of the problem, I get referred to a specialist, sometimes a surgeon. Being a surgeon requires a refined set of skills. It’s why they often don’t like to be called “Doctor”, and prefer the traditional “Mister” (the history is that the doctor used to make the diagnosis, and then hand the patient over to the person who didn’t have a doctorate, but rather was an expert cutter, typically from a background in butchering). But if you ask the surgeon about the pain you have in your leg sometimes, you’ll get told to ask your GP. It’s not that your surgeon isn’t interested – they just don’t know the answer. That wasn’t something that I really understood when I got out of university. I knew there was a lot to know about IT – I’d just done an honours degree in it. But I also knew that I’d done well in just about all my subjects, and felt like I had a handle on everything. I got into developing, and still felt that having a good level of understanding about every aspect of IT was a good thing. This got me through for the first six or seven years of my career. But then I started to realise that I couldn’t compete. I’d moved into management, and was spending my days running projects, rather than writing code. The kids were getting older. I’d had a bad back injury (ask anyone with chronic pain how it affects your ability to concentrate, retain information, etc). But most of all, IT was getting larger. I knew kids without lives who knew more than I did. And I felt like I could easily identify people who were better than me in whatever area I could think of. Except writing queries (this was before I discovered technical communities, and people like Paul White and Dave Ballantyne). And so I figured I’d specialise. I wish I’d done it years earlier. Now, I can tell you plenty of people who are better than me at any area you can pick. But there are also more people who might consider listing me in some of their lists too. If I’d stayed the GP, I’d be stuck in management, and finding that there were better managers than me too. If you’re reading this, SQL could well be your thing. But it might not be either. Your thing might not even be in IT. Find out, and then see if you can be a world-beater at it. But it gets even better, because you can find other people to complement the things that you’re not so good at. My company, LobsterPot Solutions, has six people in it at the moment. I’ve hand-picked those six people, along with the one who quit. The great thing about it is that I’ve been able to pick people who don’t necessarily specialise in the same way as me. 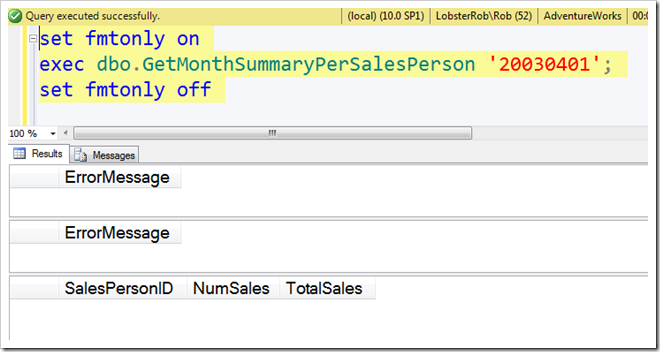 I don’t write their T-SQL for them – generally they’re good enough at that themselves. But I’m on-hand if needed. Consider Roger Noble, for example. He’s doing stuff in HTML5 and jQuery that I could never dream of doing to create an amazing HTML5 version of PivotViewer. Or Ashley Sewell, a guy who does project management far better than I do. I could go on. My team is brilliant, and I love them to bits. We’re all surgeons, and when we work together, I like to think we’re pretty good! The platform also has an amazing feature that translates questions, so if you're more comfortable asking a question in Russian or Portguese, you can do that. The presenter will see the question in their own language, and the attendee will read the answer in theirs. What is this Big Data thing and why should you care? Learn about Microsoft's Hadoop connectors, our Hive add-in for Excel, what Pig and Hive are, and more. Big Data is an exciting foray into the world of data previously too big to load and query in an affordable manner. With the new Big Data tools you can expand your BI reach be the hero who helps your company make better business decisions. 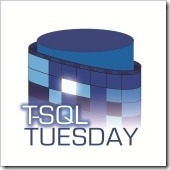 T-SQL Tuesday again and this month is on T-SQL Tips (thanks Allen!). In some ways it’s a tough topic, because there are things I don’t really consider tips that other people do, and vice-versa. This one’s legitimate though: Using CROSS APPLY for working columns in calculations. Back in 2009, I wrote a blog post on Julian (YYDDD) dates. 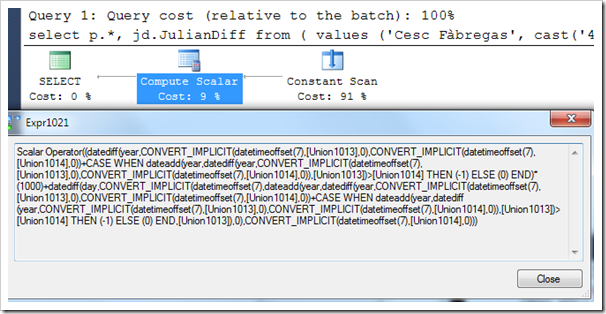 http://msmvps.com/blogs/robfarley/archive/2009/03/25/converting-to-and-from-julian-format-in-t-sql.aspx. Someone asked me recently about using this for time periods, for example, someone’s age when they play a football match. For example, Cesc Fàbregas holds the record as the youngest Arsenal player, aged 16 years and 177 days. Given someone’s birthdate and date of interest, this seems like it should be quite easy to work out, but can get frustratingly tricky. The idea is quite straight forward – you just count the number of days from their most recent birthday. So let’s have a think. Counting the number of years between the startdate and the enddate is a nice place to start. I could count the number of days, but that might give me rounding error based on leap years. But counting the years simply compares the year component, such as 1987 and 2003, and the player might not have had his birthday this year yet. In that case, we’d want to go with the year before. Anyway – once we’ve figured out how old the player is, we can figure out when their last birthday was and count the days since then. Easy. But so easy to make a mistake somewhere. 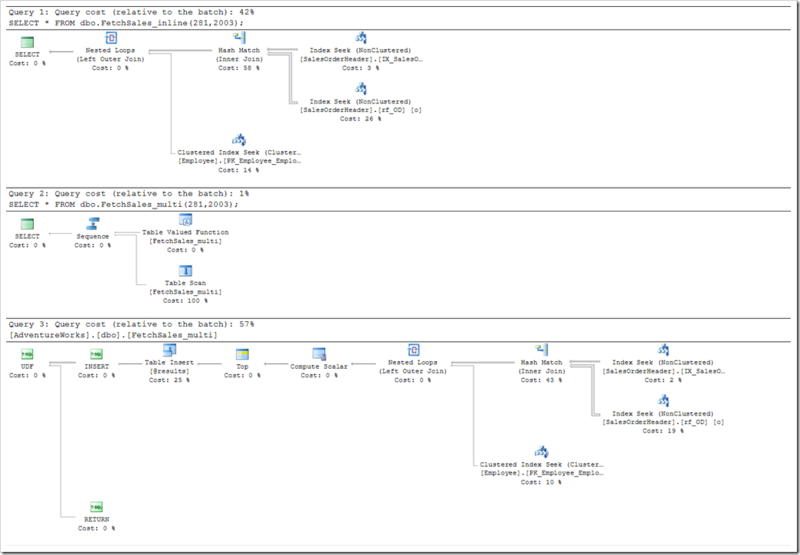 And this is where CROSS APPLY can come into its own, by allowing us to use working columns. Let’s start with a few players. Some young ones, and Thierry Henry, just because. I’m using the VALUES method, but you could have a Players table just as easily. First, I want to make it clear which column is my startdate and which is my enddate. It’s too easy to be thinking “startdate” and pick up “Debut” here, because this sounds very much like the same thing. There’s the startdate of their playing career, and the startdate of the calculation. To avoid confusion, I’m going to do some simple column-renaming. This gives me more reusable code, and APPLY even means I never have to worry about whether I already have these column names referring to something else, because they’re going to get their own table alias too. Might seem like a bit of a waste to you, but it means so much to me. Really. Now I want to count how many years there are between my startdate and enddate, and work out when the startdate is this year. I could do this in one step, sure, but I want to be able to check my working really thoroughly. Now I can easily test to see if I need to subtract a year or not. I’m sure you can see where this is going. I now have their latest birthday before the date I’m looking for, and I can easily turn this into a Julian Date format. I know it’s really simple, but it’s an amazingly useful tip for making sure that you do things right. 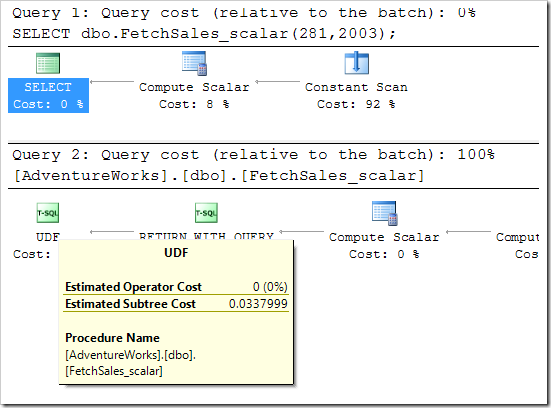 Oh, and as for the plan – SQL just rolls it all up into a single Compute Scalar as if we’d written it out the long way, happily showing us that doing it step-by-step ourselves is no worse at all. Can’t be done? Oh, but it can. Let me show you. 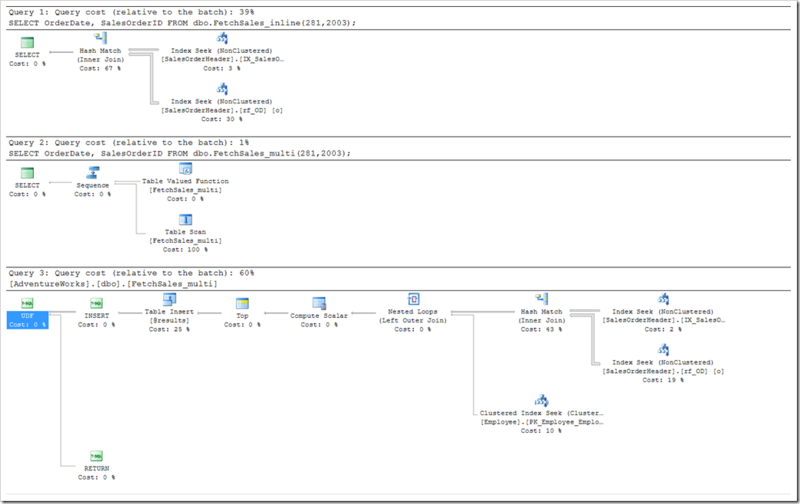 When we ran this stored procedure, the latest version of dbo.Products was outputted, so we can clearly see the new record, and the absence of the one we deleted. 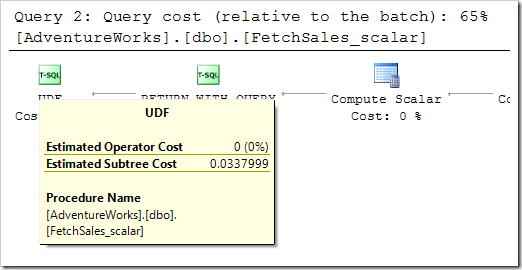 But this wasn’t possible in SQL 2005. We didn’t have user-defined table types, and we certainly didn’t have table-valued parameters. Except that we could still do something very similar. This was something I’d taken for granted, but when I showed this to someone at the PASS Summit, and then someone else, I got persuaded to write a blog post on it. If you haven’t seen this idea before, I’m sure you’ll kick yourself. It’s remarkably simple, but I think it’s quite powerful. Like I said – I’d taken it for granted. The idea is this: make a VIEW with an INSTEAD OF trigger, using the inserted table instead of the table variable. That INSTEAD OF trigger is essentially where your stored procedure is kept. A trigger is still a procedure, it’s just not stored in the traditional list of stored procedures. But it will act just like one. As for the view – that can just be a placeholder. Think of it as simply defining the columns you need to handle. You don’t need a FROM clause, and you don’t even need any rows to come back. I like to put a contradiction in there so that I don’t think there’s any real values coming out. So a trigger doesn’t take a table-valued parameter, but it can leverage the inserted and deleted tables that are available in triggers. For us, we’re just interested in the former. Have a look at the code, and you’ll see what I mean. 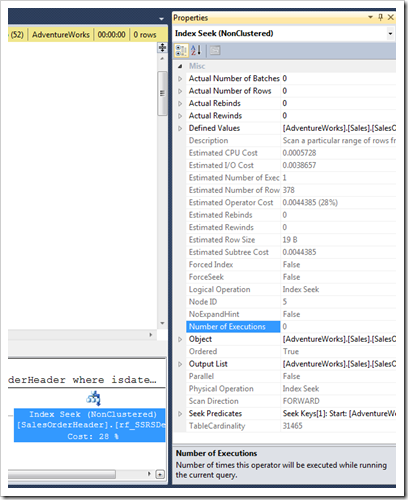 This code can run on SQL 2005 (well, it can also run on later versions, but that’s less important). /* This trigger contains the same code as in the 2008 stored procedure. * But instead of having a table variable, we use the inserted table. 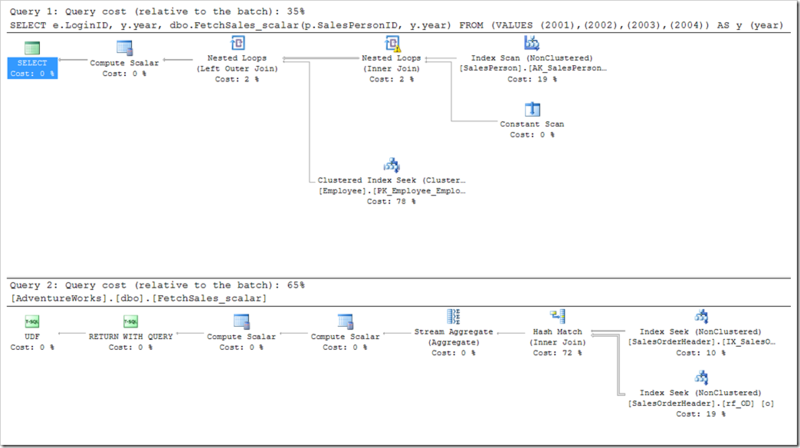 So there you have it – a useful TVP equivalent in versions prior to SQL 2008. I get that I’m probably writing this post about ten years too late. Sorry about that. But if you’re not fond of the idea of having to declare and populate a table variable, then perhaps this idea is for you. 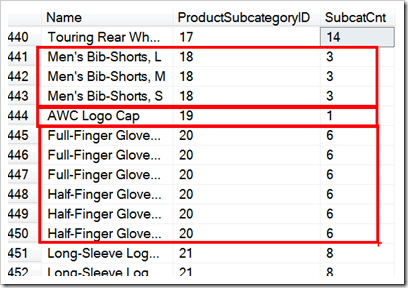 This method will support any type of inserting, whether it’s row-by-row, or the results of a single SELECT statement. One day though, TVPs won’t be READONLY any more (this doesn’t seem to be the case for SQL Server 2012 unfortunately), and when that happens, you’ll want to definitely be using TVPs. This was a proper big week. Friday 7th: Arrive in America. Travel to Portland. Speaker Dinner. Saturday 8th: SQL Saturday #92 (two sessions to give, plus a song performance with Buck during the morning break). Charity dinner for The Leukemia & Lymphoma Society (whom LobsterPot sponsor). Sunday 9th: Walk the Portland Half Marathon. Travel to Seattle. Collect my kilt. Register for the Summit. Monday 10th: Early morning prayer meeting. Deliver a pre-conference seminar. Insiders Dinner in evening. Tuesday 11th: Early morning prayer meeting. Meeting about SQL Saturday. PASS Board Meeting. Insiders Day at the Microsoft Campus. Opening Night Party, including being a Quiz Bowl contestant. Speaker/Volunteer Dinner. Wednesday 12th: Early morning prayer meeting. Chapter leaders’ meeting. Chapter lunch. Book signing. Lightning Talk to deliver (my song). Global Growth meeting. Exhibitors’ party. Parties for SQL People, SQL Sentry, SolidQ and SQLKaraoke. Thursday 13th: Early morning prayer meeting. WIT Lunch. Spotlight session to deliver. Redgate Dinner. Party at Gameworks. Friday 14th: Early morning prayer meeting. More book signing. Board Q&A session. Board photos. Saturday 15th: Sleep in and fly home. That’s the short version. Really. There were a lot of other things that were squeezed in – in particular, the fact that I had promised Audrey Hammonds about six months ago that I would run through her presentation with her, and one other thing that became somewhat significant: THE FACT THAT ALLEN KINSEL ARRANGED FOR ME TO PERFORM MY SONG DURING THE FRIDAY KEYNOTE. Readers of my blog (and plenty of other blogs) will know by now that I played my guitar and sang at the start of the Friday Keynote. Buck Woody accompanying me with his guitar and backing vocals. What you might not know is that this only got arranged late on Wednesday night. Allen had seen me perform it (again with Buck) during the Lightning Talks on Wednesday afternoon, and by the time the night was over, Buck and I were booked in to perform it in front of the three and a half thousand delegates at the biggest keynote of the week. I’ve played and sang before a couple of hundred before, but never even close to that many. To say I had mixed emotions would’ve been an understatement. I didn’t hesitate to say yes, and was excited, but was also phenomenally nervous. As a late entry to a tight schedule, we got two minutes only and had to cut the song short. We didn’t sing the bridge section, so stopped after just Verse Chorus Verse Chorus. It was tremendous fun, and I loved seeing faint glows of phones being waved around in the crowd. I desperately wanted to look into the crowd as I was walking off stage, but my nerves and the fear of tripping on the guitar lead froze me completely and I didn’t turn my head at all. I was told later that there was a standing ovation – but I was just full of emotion, and so tired. So tired. It was my own fault – I’d gone out with Microsoft people after the various parties, and when they’d all gone to bed for a couple of hours around 5:30am, I’d got myself ready to lead a quick song at the 6am prayer meeting head off to my 6:15am sound check, prior to the 7:15am book signing. I got through the day (although I fell asleep for a few minutes during Audrey’s session, which I will need to watch to see how she did). I eventually got to bed around 10:30pm Friday night, and about twelve hours later managed to get up with just enough time to pack and check out of the hotel for noon. But this wasn’t the highlight for me. Nor was the highlight the fact that my level of involvement was so much greater, now that I’m a Board Member. I have to admit that I always get so much more out of events like this if I’m involved. I appreciate that I can get to more sessions if I’m not already laden with other entries on my calendar, but I would rather serve others wherever possible. I’m still new on the board, but as an advisor, I’m hoping to be able to influence things like the Summit more and more next year, and maybe there will be a few areas in which we can find opportunity to improve it still. Serving is great – but wasn’t the highlight. The highlight was the people. It always is, and it always will be. Right from the moment I arrived in America and tracked down John & Yanni Robel and Jes Borland. Arriving in Portland and seeing Jeremiah & Kendra, Buck Woody, Tim Ford, Erin Stellato and many more at the SQLSaturday events. Participating in the Portland Half Marathon with Erin, Jes, Yanni, Brent Ozar, Karen Lopez, Doug Lane (who did 10km) and Allen White (who did the full marathon), and a lots of people wearing the LobsterPot logo on their shirts. And despite not being able to run (I physically can’t run because of an old back injury, so I just walked it), I didn’t even finish last of the half marathoners! For all the extra pain I felt because my back isn’t really up to walking 21km in 3 hours, it was worth it. I’m especially proud of Yanni, who has achieved amazing things despite having a nasty blood cancer. Despite Sunday being a ridiculously early start and a very long day, each day started with 6am prayer meetings. But this gave the opportunity to start each day on a good note, meet even more people (like Matt “Mrs” Slocum), and to figure out some of why I always click so well with friends like Stacia Misner. Even the time I spent moving from one spot to another was a chance to see people and grow friendships deeper. I think of the night I was heading back to my hotel after the walk back from one of the parties had gone past the other hotels, and I bumped into the “Damn Strates” (Jason & Sarah), only to spend an hour talking with them about a number of different things. Or the time spent talking with one of the industry’s newest and brightest lights Jes Borland, who thinks she can out-talk me. Or the time with fellow board members JRJ, MarkS & Lara, which is time I can’t help but enjoy as the conversations switch over and over from flippant to serious and back again. Oh, and the lowlight was losing my prescription sunglasses. That’s a real pain. The SQL community has something very special, that other communities should be jealous of. These people genuinely love each other, and it’s really good to see and to be part of it. I’ve seen the same at SQLBits, but not in many other contexts. PS: Apologies to everyone for not having links on your names. I wrote this on a plane without connectivity. My company LobsterPot Solutions gives quite a bit to charity. Sometimes it’s working for reduced rates (or even free), but sometimes we give money directly. A Seattle-based friend of mine has CML – one of the types of leukemia, and when I found out she was raising money for the Leukemia & Lymphoma Society by running marathons through their Team In Training program, I wanted to help. LobsterPot donated money to her cause, and I had expected that might be the end of the matter. Later, I was contacted for my company logo. It seems that the amount we gave was enough to have the logo printed on the backs of shirts. In fact, the LobsterPot logo is going to be worn by 170 people at races all season, including the Portland Half Marathon. As I was going to be within a few hours’ drive of Portland on the day, I decided to check it out for myself. 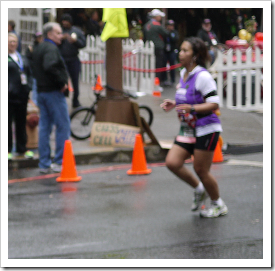 I even entered the event – the Portland Half Marathon 2011. I can’t run. I had a back injury in 2003, which has stopped me being able to cope with the impact of running. 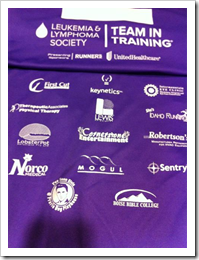 But I walked it, in a purple shirt provided by the Leukemia & Lymphoma Society with the LobsterPot logo on the back. It took me over three hours to get around the distance, and although walking is good for my back, I was still very sore at the end. Walking that course though, all 21km of it, I saw lots of purple shirts with LobsterPot claws on them, the wearers all encouraging each other to stay strong, and to finish. Many of these people, including my friend Yanni, are leukemia survivors, and it was inspiring. So now I have a challenge for you. If you are a business owner, then find ways to give back. It doesn’t have to be much, but it should be something. If you don’t know anyone you can sponsor for this type of event, visit Yanni’s fundraising page at http://tinyurl.com/HelpYanni. She’s running a full marathon in January, and has just started raising funds. Get yourself over to http://tinyurl.com/HelpYanni and see how to donate to her. Who knows – if you’re a company there could be a hidden marketing value there. Three years ago she was told she had an incurable blood cancer. Just over a week ago, she completed a half-marathon. Isn’t that the kind of spirit you want your company to reward? But don’t do it for yourself, do it for Yanni and those like her. The words for that song I did at the PASS Summit 2011 are as follows. On the Friday, I stopped where the bridge starts. Various recordings of it are making it to YouTube, such as here, where the song starts around 2:20 in. Say "Trust me, love, I'm from Australia!" He says it's not corrupt, he knows Paul Randal! Hopefully my connection is slightly better during today’s keynote than it was during yesterday’s, when “Live Blogging” didn’t really cut it. The PASS staff saw the problem and have resolved it (thanks guys!). Quentin Clark has jumped on stage to talk some more about SQL Server 2012, and he started with the expression “Data, Information and Knowledge”. I love this – I see Business Intelligence about extracting information from data, and it’s good to have Microsoft see this priority across the whole SQL platform. He’s also talking about the 12 biggest features of SQL Server 2012, which he says has more new features than any release of SQL Server yet. SQL Server has seen uptime as a key component for a long time, but to provide High Availability for StreamInsight is particularly significant. StreamInsight involves being able to consume data at significant rates, being able to run queries against that data while it’s still on the move – before it’s even reached the relational database. High Availability for StreamInsight should be able to better provide strategies to ensure that streaming data need not be lost. Businesses suffer badly when they lose data. 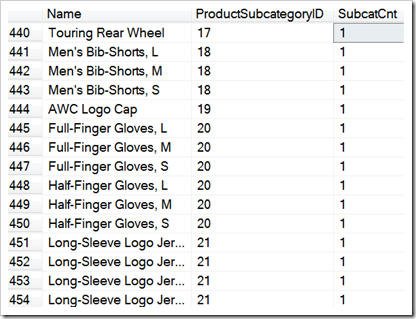 SQL Server 2012 should be able to reduce this problem almost completely. Yes, “Power View” has a space in it. It’s the new name for Crescent, which is about self-service reporting using a Silverlight experience. I’m all for allowing users to interact with the data in powerful ways, but I’m also concerned about how to manage this. SharePoint seems to continue as the main platform for this, and although I’d love to see the administration of these reports be done inside SQL itself (instead of SharePoint), I get that SharePoint is currently the platform of choice. I’m not going to comment on this stuff right now – it’s been talked about plenty already, but the enhancements definitely look good. The new stuff around DQS lets you fix up data at a number of extra points and have it pushed back into the underlying warehouse. This is useful. Audit is one of the massive things, and yet an administrator has always been able to turn it off. With the ability to have user-defined server roles, auditing turns into a much more real option. The Replay tools have become Distributed Replay, which is introduces a ton of really good options. Appliances are stepping up. Buying an appliance, adding the network connection and electricity, and it’s ready to accept data in twenty minutes. The number of new options available suggests that the future of hardware buying will be even more focused on the appliance concept. And of course, many of these items contribute to make a much more cloud-ready platform. Cloud isn’t for everyone, but Microsoft are certainly making steps to make it a more feasible option. And we’re over – hitting publish now. In the PASS Summit Keynote (Day 1), they’re demonstrating tools to join data from Excel, Marketplace, SQL Azure, using the “Data Explorer”. The thing that I’m liking about this is that you can specify that you want to do a lookup or a merge. Both joins, but two different types. 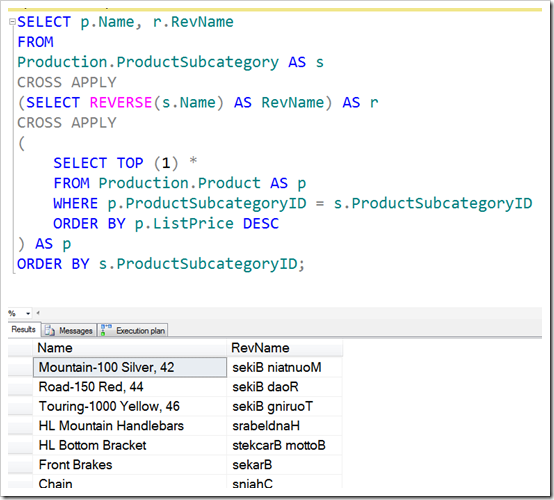 I like this because when I write joins in T-SQL queries, I tend to have it in my head whether I’m expecting a Nested Loop (lookup) or a Merge Join. Seems Data Explorer lets me decide that right up front. So you can pull data down from all kinds of different places, and publish it back out through the Marketplace. This means you can enhance other data sets, which other people can then enhance further, and this can continue to make some incredible data sources that can be consumed in OData just about anywhere.